Ian brings a wealth of knowledge and expertise to the BCA Certifiers team with extensive experience in both the local government and private building sectors. As an A1 Accredited Certifier in NSW and a licensed Principal Building Surveyor in the ACT, he specialises in assessment and approval of all classes of buildings. Ian’s in-depth knowledge of the Building Code of Australia is an invaluable asset to the company and our clients. 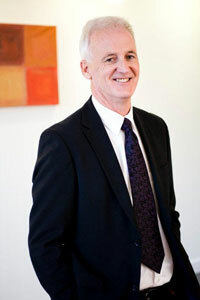 Ian has been instrumental in expanding the company to three offices on the East Coast. His vast industry affiliations include membership with the Australian Institute of Building Surveyors, the Master Builders Association, Building Surveyors and Allied Professions, the Building Certifiers Association, the Housing Institute of Australia, the Building Science Forum and corporate membership with the Fire Protection Association Australia. Ian holds a Graduate Diploma in Applied Science, Construction Technology at the University of Western Sydney.